While fears of cultural appropriation didn't stop Sarah Jessica Parker from dressing up like a Chinese Olympics mascot at the Met Gala, one pop star is proving a little more circumspect about the practice: M.I.A. 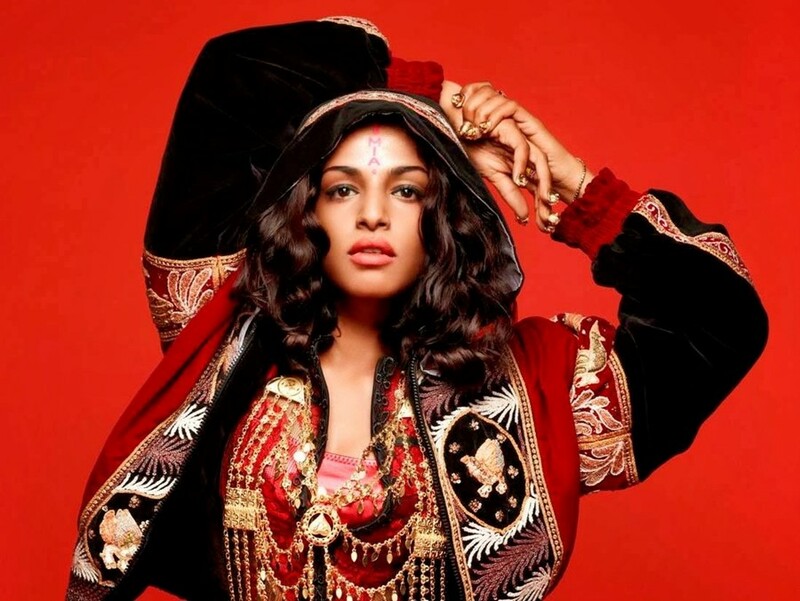 The "Double Bubble Trouble" rapper is reportedly working on a follow-up to her 2013 album Matangi, but she's run into a few issues. "I wanna talk about cultural appropriation!" she tweeted on Monday. "I've been told I can't put out a video because it's shot in Africa." The video is 1 take shot of a dancer ! The best in the wide world! And he wasn't ever gonna make "_____got talent"
If the music industry allows an African artist to come through this year on intnl level, I would gladly give him this video for free. This isn't the first time that M.I.A. has fallen foul of concerns about cultural appropriation. The music video for Matangi single "Bad Girls" came in for some flack over its portrayal of Arab stereotypes – think girls in leopard-print headscarves wielding AK-47s. As one blogger on Muslimah Media Watch put it: "Arab Muslim women aren’t video decor." Fans have eagerly pitched in to educate M.I.A. on the issue, with one writing: "There's a difference between cultural appropriation and cultural celebration." Another notes: "That sounds fine. As long as the dancer isn't used as a prop to enhance your image i.e the Indian girls in Major Lazer vid." We're thinking that's in reference to this video. In response, M.I.A. has been eagerly retweeting people discussing the topic and their ideas of when a music video crosses the line from cultural homage to straight-up hijacking. Obviously, it's tough to make a judgement call on an unreleased video that nobody has seen. It's also not a straightforward issue, given that M.I.A. – unlike white musical contemporaries who have been mired in similar controversies – is a woman of colour herself (she's of Sri Lankan Tamil descent). But if any pop stars are wondering how to tackle the thorny issue of appropriation by listening to and not alienating their listeners, they'd do well to take a few cues from M.I.A.